These look like they’re filled with some sort of nasty artificial colouring, right? Wrong! Can you guess what the pink colour is? OK I’ll tell you… it’s beetroot! 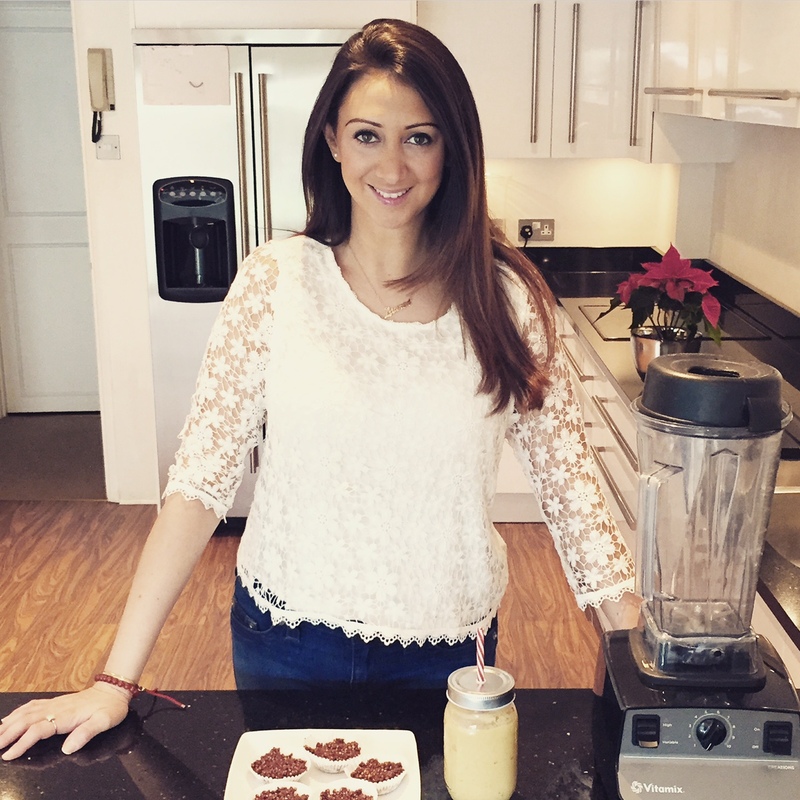 I love my healthy pancake recipe but I wanted to make something extra special for Valentine’s Day without using artificial colouring and all the colourings and flavours we need are already found in nature. I used my usual recipe, just added beetroot and changed it very slightly. 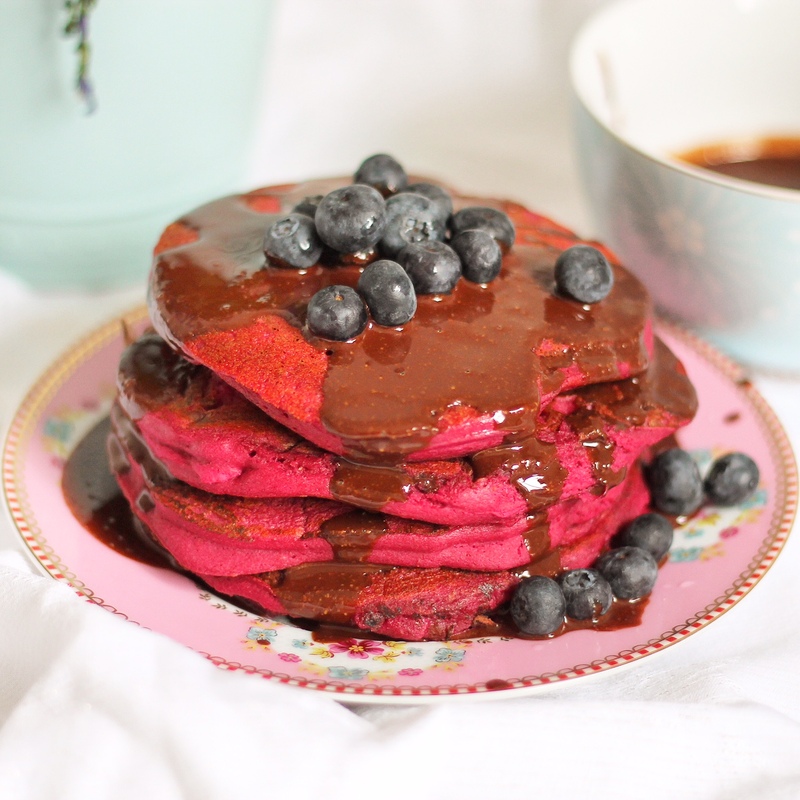 I promise it doesn’t taste of beetroot either – they just taste like insanely yummy and fluffy pancakes. So easy to make as well, oh and they’re vegan too! If you’re trying to be healthy but want to treat your partner to breakfast in bed this Valentine’s Day, you can’t get better than these. 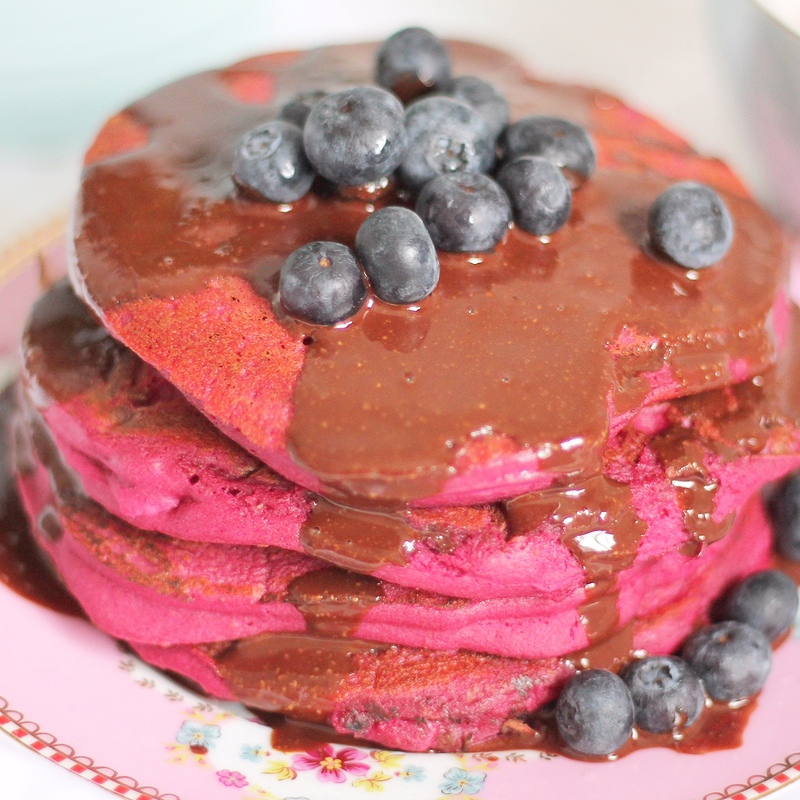 Yummy, nutritious – both buckwheat flour and beetroot are good for the blood and lowering cholesterol. The chocolate sauce is full of protein and is a great aphrodisiac – just what you need for Valentine’s Day! First, mix the flax seeds in a bowl with the water and put in the fridge for 10 minutes to create flax ‘eggs’. While it’s in the fridge, start preparing the rest. 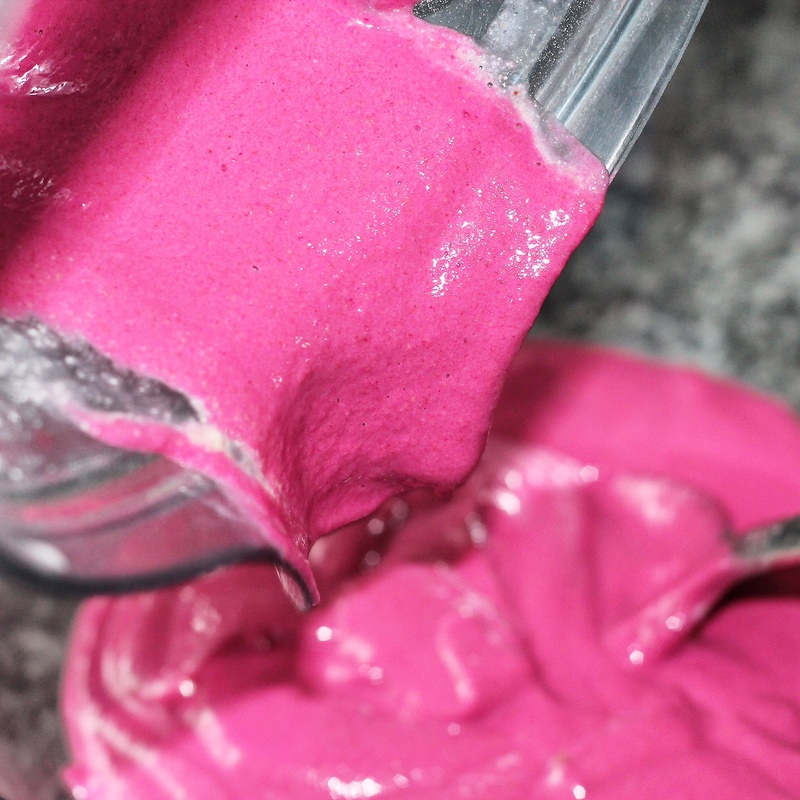 Add all the ingredients to the blender and blend until smooth. Once the flax eggs are ready, add this to the mix and blend until smooth. Transfer this to a bowl so it’s easier to access with the ladle. Use a non-stick pan and heat some coconut oil in the middle, just a little, and when it’s hot, add a small ladle full of the mixture to the centre and spoon it over to create a pancake shape. It will only need around a minute on each side, but all hobs are different so you want it to be fluffy and cooked on the inside but not burnt on the outside. Repeat until the mixture is used up. Top with homemade chocolate sauce or maple syrup, coconut cream or any topping of choice. I love the colour of these, they look amazing!! !